Gouda is one of the most beautiful cities in the Netherlands. One can imagine walking through the middle ages. Museum Gouda owns a gorgious model of Gouda in 1562. Ever since the city has changes tremendously, buildings were demolished and new buildings changed Gouda. 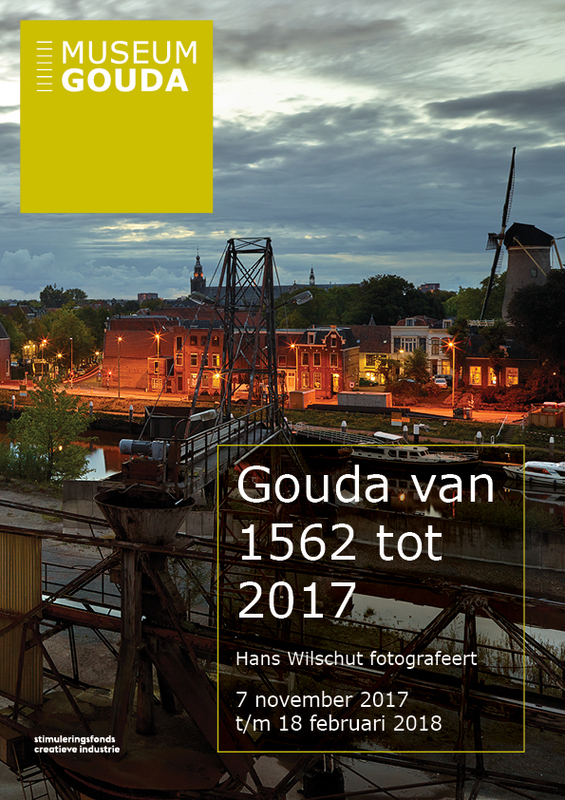 Museum Gouda invited Dutch renowned photographer Hans Wilschut to make a series of new works about Gouda today. The collection of the museum provided Wilschut with motives for these new works, which are now shown in relation to the historic works from the collection. Thursday 30 November 2017 museum Gouda will organise a debate in the context of the exhibition Gouda van 1562 tot 2017. The water battle, with Rogier Tetteroo, Marco Kastelein and Hans Suijs. You are kindly invited to visit the debate and opening.